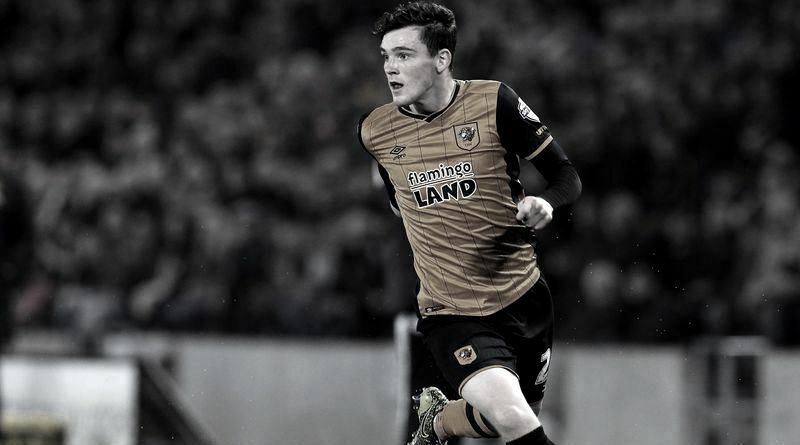 According to the football transfer rumours in British Media, Liverpool have reached an agreement with Hull City full back Andrew Robertson. The Scotland international has joined Hull City from Dundee United for a fee in the region of 3.5 million euros in July 2014. The 23-year-old has a valid contract with Hull City until June 2018. Since his arrival from Dundee United, Andrew Robertson has scored five goals and provided 10 assists in 114 games for Hull City, including one goal and provided three assists in 38 games in all competitions this season. The 23-year-old is considered to be one of the best full backs in Scotland. Andrew Robertson has represented Scotland at Under-21 level, winning four caps, before making his senior international debut in March 2014. As a member of Scotland national football team, Andrew Robertson has won 14 caps and has scored one goal. The Scotland international is thought to perfectly fit the profile of defensive player Jurgen Klopp wants to target in the summer transfer window. Liverpool manager Jurgen Klopp wants to continue to strengthening his squad so they’re able to compete both domestically and in the Champions League next season. Jurgen Klopp will reportedly be handed a huge transfer kitty this summer and the Hull City full back is thought to be among the manager’s priorities. Euro Football Rumours understood that Liverpool will announce the signing of Hull City full back when the summer transfer window opens.